Black Forest Cake is one of, those luscious and beautiful cakes that is bound to impress the crowd. I first made it for a family reunion many years ago, and now make it for many special occasions. Wouldn't it be a lovely dessert for a birthday, Mother's Day or Father's Day? My first German Black Forest Cake was a huge success with our family who ranked it right up there with other family favorites like German Sauerbraten and Rouladin. The only pitfall of making Black Forest Cake once is that you'll be asked to make it for every occasion in the future. The Black Forest Cake is constructed out of layers of chocolate and yellow cakes, filled with whipped cream, chocolate mouse and cherry fillings and decorated with whipped cream and chocolate swirls. Mmmmm...! In this hub, I will give you the wonderful scratch recipe for this cake as well as some short cuts if you wish to save time. Enjoy! For those who would like to try an easier version, I'm also including a simpler recipe for a delicious Easy Black Forest Cake. I often make this version for my family, and they love it almost as much as the original version which is reserved for special occasions. In the easy version, I cheat by using a chocolate cake mix and I skip the yellow cake layer. The shopping list is for baking the large German Black Forest Cake from scratch. Semi sweet chocolate - 3 oz. My nieces and nephews recognize this cake when they see it at a family gathering and say, "Oh, it's Aunt Stephie's Black Forest Cake!" Hence, the name. But you can call it German Black Forest Cake if you wish! The recipe below is for a large, four layer cake that is perfect for a crowd. Start with a chocolate cake and a yellow cake baked in 9" X 13" pans. After the cakes are baked and cooled, freeze them for several hours before splitting each cake with a very sharp knife or an electric knife. I find that the electric knife makes a nicer cut with fewer crumbs. Making this cake is time consuming because of the multiple fillings used in the traditional version, but the end result is worth the effort. This cake makes 20 to 25 servings if you plan your cutting carefully. Cream together sugar, butter, eggs, cocoa and vanilla. Beat in baking powder, baking soda and salt. Add flour and milk alternately a little at a time, beating after each addition. Pour into a 9" X 13" greased and paper lined pan. Bake at 350° for 25 minutes or until cake tests done. Turn out onto wire cake racks and cool well. If you are splitting this cake into two layers for the Black Forest Cake, freeze for an hour or two and split with an electric knife or very sharp bread knife. Cream together sugar, butter, eggs and vanilla. Bake at 350° for 25 minutes or until cake tests done. Cool well. While cakes are chilling in the freezer, prepare Cherry Filling, Chocolate Mouse Filling, Butter Cream Icing and Whipped Cream in separate bowls. Melt chocolate in the top of a double boiler set over boiling water. Stir until smooth, then slowly stir in 1 well-beaten egg. Whip 1 cup of whipping cream with the sugar and fold into the chocolate mixture. Chill for 2 hours. 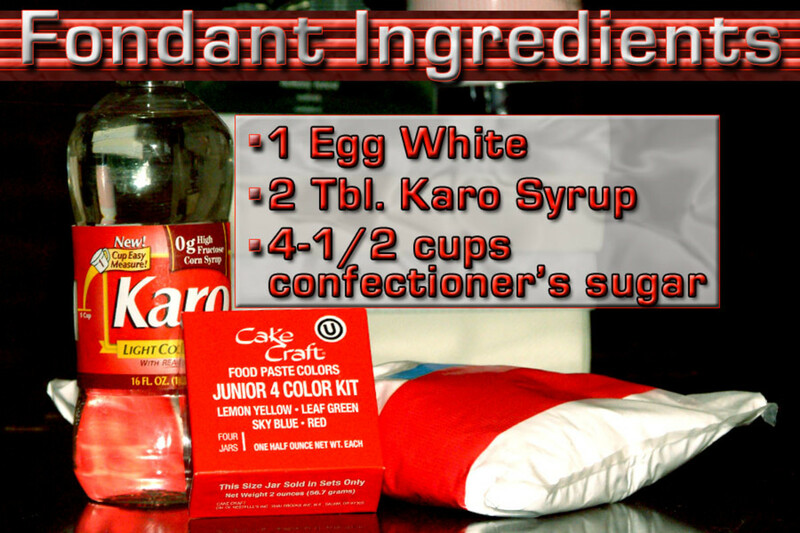 Make a butter cream icing with 1 cup of confectioners sugar and 1/4 cup soft butter creamed together with 2 tbs. cream or milk. Add more liquid to make it spreading consistency. Beat the other cup of heavy cream with 2 T. of sugar until it forms soft peaks. Chill until ready to put cake together. 1 bar of milk or dark chocolate at room temperature. With a sharp knife, shave off thin curls of chocolate and sprinkle on top of whipped cream for decorations. Split the frozen chocolate cake and the yellow cake lengthwise into two layers so that you have 4 thin layers of cake. Round layers can be split without freezing, but large oblong layers will hold together better if they're frozen first. It's also easier to work with the layers as you put them together if you freeze first. Second layer - place chocolate layer cut side down on top of yellow layer. cover with chilled chocolate mouse filling. Third layer - Place second yellow cake layer on top of chocolate mouse filling. Top with a 1 1/2 cups of whipped cream. Fourth layer - Place last chocolate layer cut side down on top of whipped cream. Frost sides of cake with whipped cream. Top can be whipped cream or topped with cherry pie filling and garnished along the edges with whipped cream swirls. Decorate with Maraschino cherries and chocolate curls. Refrigerate until serving. Because of the height of this cake, it will serve quite a few people. If you cut slices about an inch wide by 4.5 inches long, you can get 20-26 slices out of this cake. This cake will freeze well, so make ahead when you need it for a special occasion. While nothing will match the original made-from-scratch cake recipe, this quicker version is also delicious and impressive. Because it's so much easier to make, you can have it more often without having to dedicate a day to baking. Make it for your family or even take it to the potluck dinner! Mix cake mix, eggs and 1 can of cherry pie filling together using an electric mixer. Pour into 2 flour lined 9 inch cake pans and bake for 35-40 minutes at 350°F. Cool cake on racks until room temperature. Using a whisk or electric mixer mix instant pudding mix with 1 1/2 cups cold milk. Whip 1 cup heavy cream with 1/4 cup of sugar until cream holds soft peaks. Set first layer on cake plate with rounded top side down. Spread with the chocolate filling. Place second layer on top with top side up (this keeps the center of the cake level). Spread a thin coat of butter cream icing on the top of the second layer. This will keep the cherry filling from soaking into the cake and making it soggy. Spoon cherries onto the top of the cake keeping about 3/4 from the edge. Frost side of cake with a thick layer of whipped cream. Add a rim of whipped cream around the top edge of the cake up to the cherries. If you wish, dab a spoonful of whipped cream in the center of the cherries. Garnish with grated chocolate or chocolate curls if you have chocolate on hand. Whichever recipe you decide to use, I hope you will enjoy this luscious, sweet dessert with your family and friends. It's a perfect dessert to follow your German style Sauerbraten or Rouladen dinner! Impress Mom by making Black Forest Cake for Mother's Day, or make it for a special birthday, anniversary or graduation. Pour a good cup of coffee and have a piece of cake for me! Stephanie, this cake looks delicious. It's perfect for Oktoberfest this fall. I would love a piece right now. Great hub! Amy Rowe - I think you'll like this recipe if you try it. I like to make the easy version with cake mix to take along to dish-to-pass luncheons. It's easy and impressive. Enjoy! I love Black Forest cake! Chocolate and cherries are my two favorite ingredients! Denise Handlon - The pretty red cherries on the white whipped cream will make this a lovely Christmas dessert. Enjoy! Chef-de-jour - While nothing beats the classic version of this cake, the easy version is also delectable and a great desert when you have limited time. Hope you enjoy them both! Wonderful great big deutsche cake, a serious addition to any family meal table. Thank you for sharing this absolute classic which I personally would love to try and make - the easier version first! Looks delicious and I know will taste divine with all those cherries and chocolate (and liquer). After eating black forest best to take some exercise to work off the calories!! Yum! I will definitely give this one a try this Christmas. You're right, when people enjoy a special treat they want it repeated, haha. Rated up/A and shared. AngelicaHementera - I hope the ingredients are available in your area as I'm sure you'll love this cake. Thanks for stopping in to comment! Jools99 - Haha.. some things you just enjoy when you can get them! Thanks for stopping in -- I'd give you a slice of cake anytime! I don't need a special occasion for this guilty pleasure....I'll have a large slice please! Joaniebaby - The Black Forest cake is delicious and will be a perfect ending to your Rouladen dinner! Try it for an Oktoberfest celebration. :) Thanks for commenting and for the share! Looks really scrumptious. Will have to try this for a special treat. Thanks again for another great Hub. Voted up, useful and shared. LaThing - Black Forest Cake is really a delicious dessert! I'm sure you'll love the homemade version if you try it. Thanks for your comments, enjoy the recipe! Love Black Forest cake! Never made it though! This recipe looks great..... Will give it a try. Thanks for the info. Voting up and useful. Mary615 - I know you'll love it, Mary! Thanks for the share (maybe you'll share the cake, too!). You know, I have never made a black forest cake. It's about time I did using your great recipe. I voted this UP and will share. AudreyHowitt - This is may favorite cake, too! I made the simplified version to take to a family dinner recently and every crumb was gobbled up in no time! Jools99 - Ahhh...I know that this dessert will drive all memory of those strange foods from your mind! Hope you enjoy! 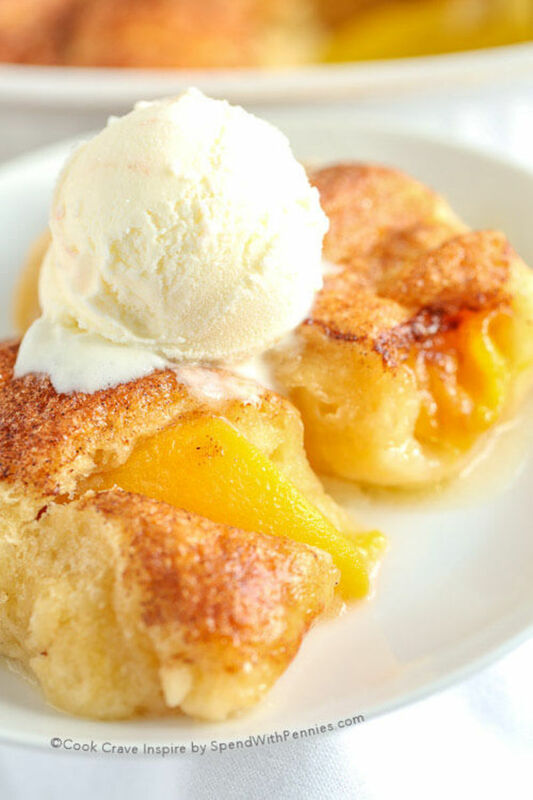 Dessert....this is more like it :o) Great recipe, I will certainly give this a try Stephanie. Thelma Alberts - It's so rewarding to bake something intricate and delicious as the Black Forest Cake for a special occasion. I have had this cake without the yellow layer, and it's still wonderful. Thank you for your comments and the votes! I love Black Forest Cake! Well the original one, the Schwarzwaelderkirsch Torte. In fact, I have just made one for my friend´s birthday 2 weeks ago. I also love making this cake as it is very relaxing to me. My recipe, which I got from a German friend is similar to yours only I don´t use the yellow cake layer. 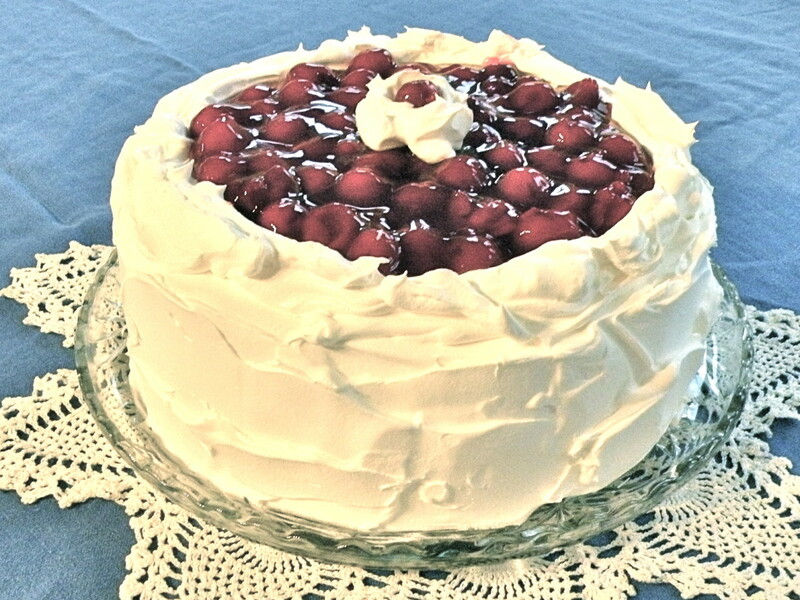 Hello Eileen Goodall - Black forest cake never did go out of favor for our family - it's still a favorite! Thanks for stopping in to comment and for your vote! This is my favourite cake, I think it went out of favour for a while and I have no idea why because it's fabulous - voted up and thank you for sharing. Moonlake - This cake not only tastes good, but it is very eye appealing - a nice cake to make for a special occasions! Thanks for your comments and votes! It sounds very good. I'll add this recipe to my list. Thanks for sharing. Voted UP. Felina Margetty - I love cherries on the black forest cake, and it must be especially delightful when you use fresh cherries. Thanks for stopping by to comment! Love your recipe, I have a similar one but our tradition is to use different fruits that come with the season. 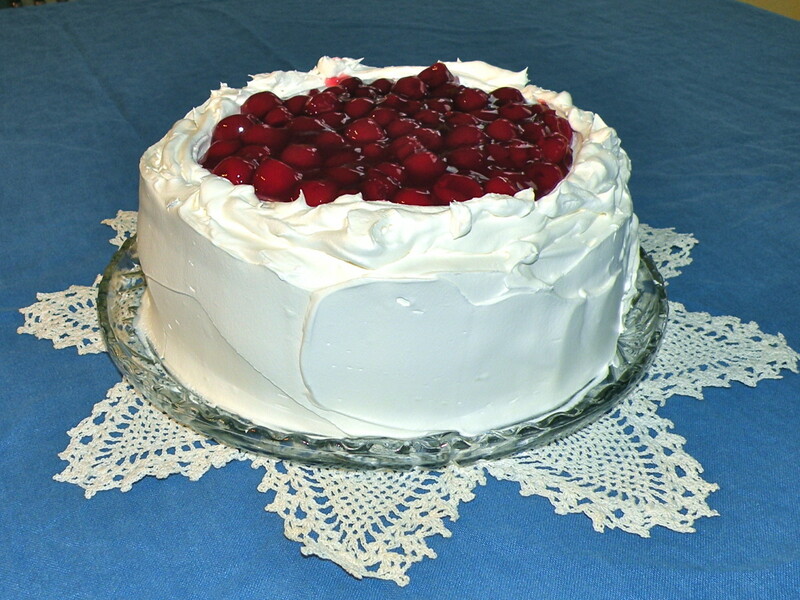 Cherries are first to fruit so the first cake in the spring and early summer must be the Black Forrest Cake. Thanks again F.
eye say - Black Forest Cake sounds like the perfect special dessert for Valentine's Day. The red cherries on top will make it especially festive! Have fun with it! I think I'll make that chocolate mousse separately for Valentine's Day! John Sarkis - Haha..I'm with you! I can eat cake with my coffee any morning! Thanks for the read and comments! You must give the recipe a try! Oh Stephanie, delish! I'm going to tell you what I told the person who won the "hub of the day" a few days ago: I don't want my cheerios and coffee this morning, I want that cake in the photo. Brandasaur - You can! 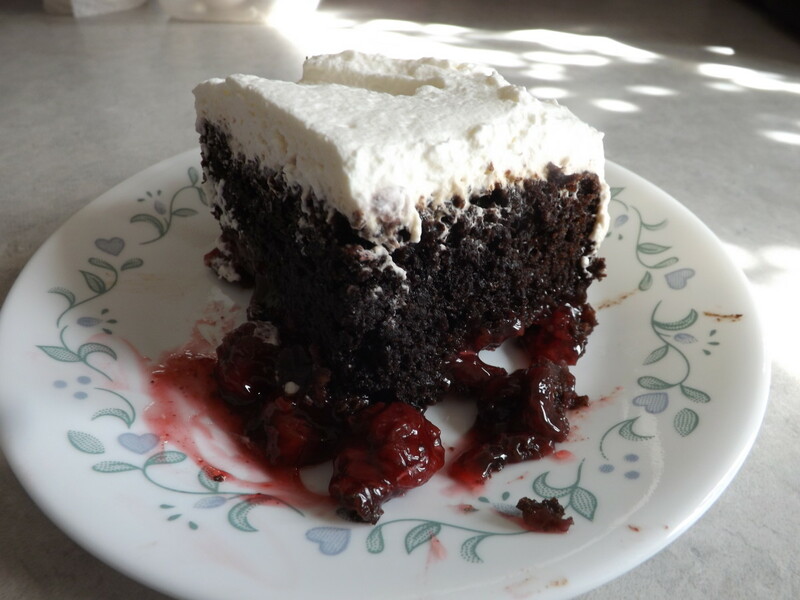 Try the easy version of the Black Forest chocolate cherry cake - it's still yummy! Looks so yummy :( I wish i could make one. Plinka - What a nice thing to say! Thank you! Hope you enjoy the cake if you decide to make it! Stephanie, you must be a MASTER in kitchen! This cake is so...WOW! Lyricwriter - I want some too! The beautiful fall weather is just perfect for baking a delicious cake and inviting some friends over to enjoy it. Thank you for stopping by to read my hub, comment and vote! Stephanie, great article first off. Second, I want some! This article just invites you right in. Voted up, useful, and awesome. I have NOT had a slice of that cake since my Mom passed away. She made an awesome black forrest cake and WOW, you got me excited, I may have to try this myself in the next few weeks. Simone - I also have to be in the right mood to bake or cook anything that takes a lot of time - hence the two recipes! Hope you enjoy whichever one you choose! 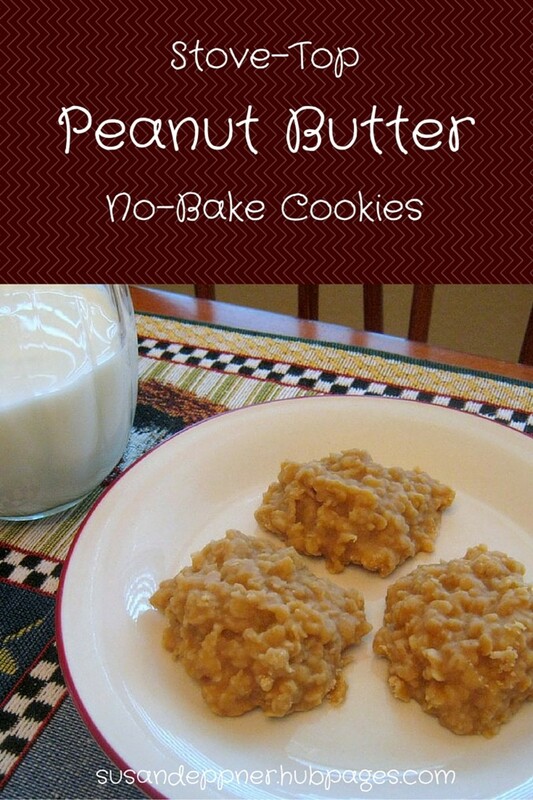 Prasetio - I hope you can convince your Mom to bake this for you! Thanks for stopping by to comment and vote! Gypsy48 - Well, the weekend is coming up, and that's a good excuse to bake a nice Black Forest Cake! Thanks for your votes and comments! After seeing this hub I am now craving this wonderful cake! One of my favorites. Sinfully delicious. Voted up, useful and awesome. I love chocolate and Black Forest cake is my favorite. Thanks for share this recipe with us. It sound delicious as well. I'll show this to my mom. Well done and vote up! Have a nice weekend. Carcro - Haha...if you make the large cake and keep it all for yourself, you could have quite a few deserts from it! Thanks for stopping by to comment! Absolutely one of my favorites, I could eat this cake seven days a week! Thanks for sharing the recipe...Voted Up! Thanks for the detailed instructions! I can see why your family loves it! 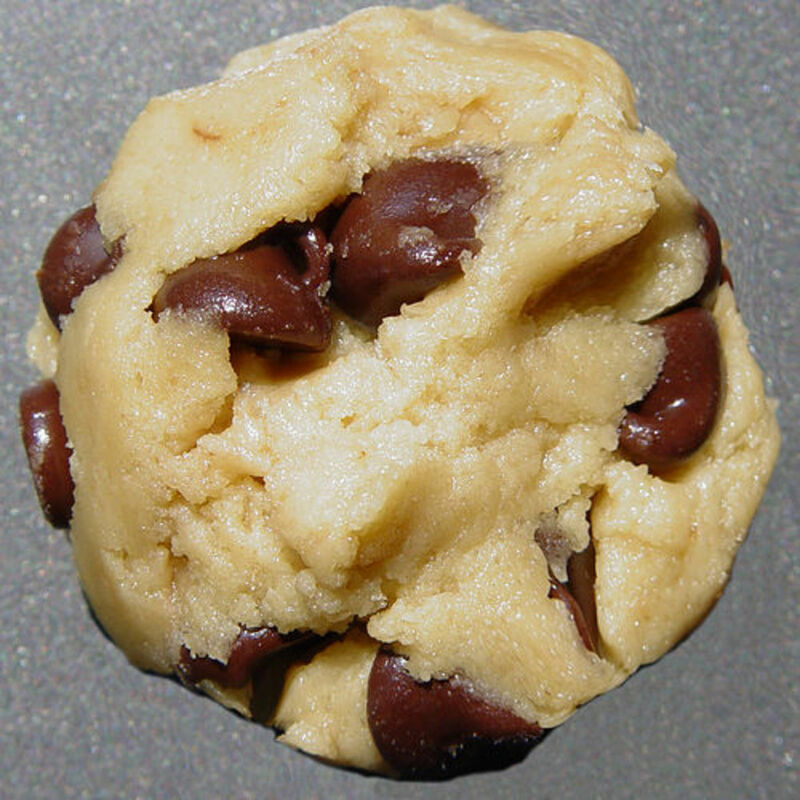 Movie Master - Although it takes some time to put together, the recipe itself isn't difficult. I hope you enjoy it if you give it a try! Hi Stephanie, Black forest cake is one of my favourites, but I have never attempted to make one, I have always bought a frozen one, I am sure a home made version would be superior! The recipe looks nice and easy to follow, so I may give it a go! Pinkchic - This cake is definitely divine! 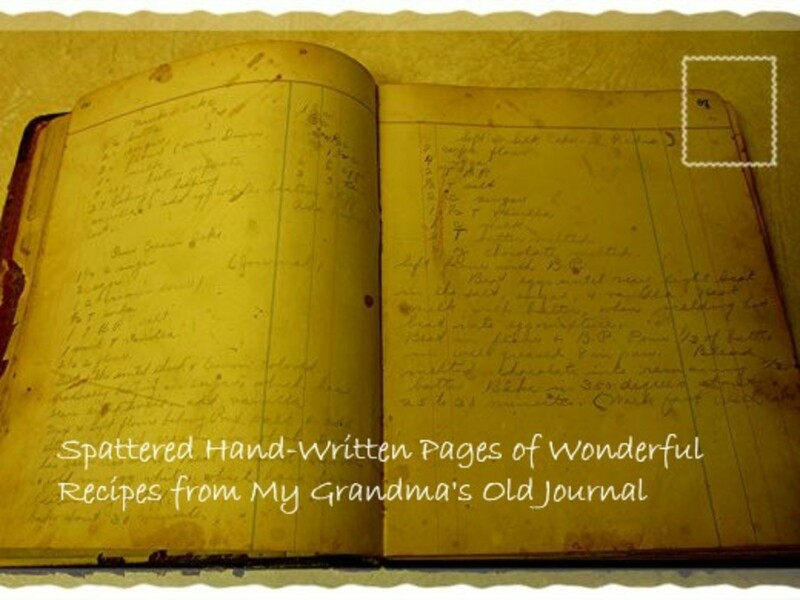 I love sharing recipes and I'm so glad that you like this one. Thanks for stopping by! Steph - I have to admit that I will often use cake mixes for the cake part, but still make the fancier fillings. 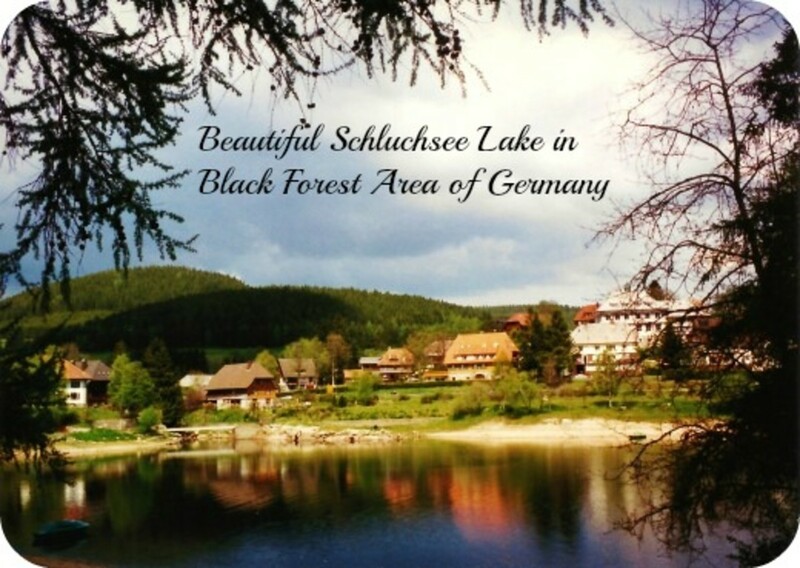 The Black Forest cake is good no matter which way you go! Thanks for bookmarking, voting and tweeting! I appreciate your support! Oh wow! Other than Red Velvet cake, my favorite dessert is Black Forest Cake! I love that you included a "fast" version of the recipe too. Bookmarked, tweeted and rated up. YUM! 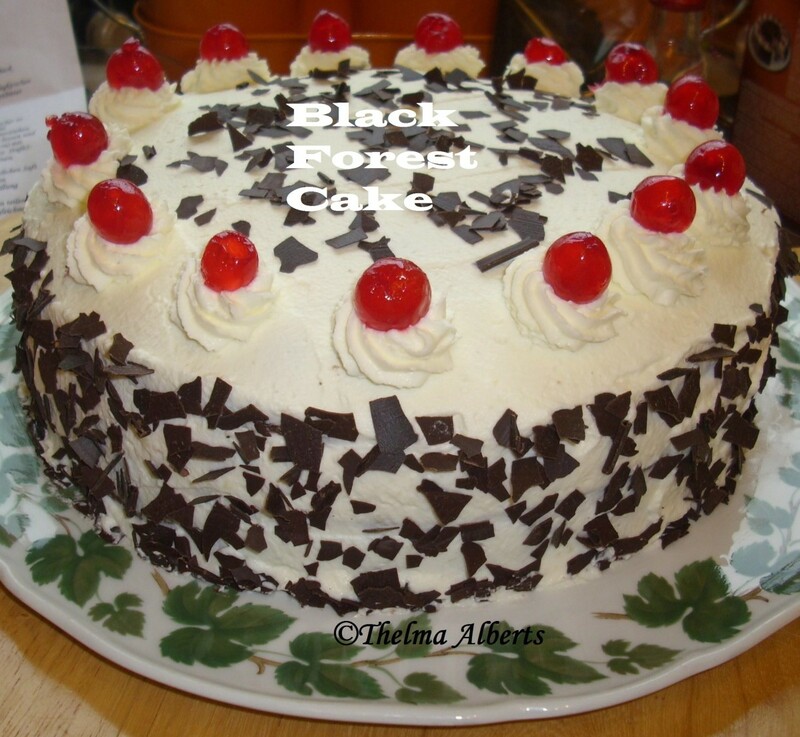 Saddlerrider - How lucky you are to have a friend who will make you one of these yummy Black Forest Cakes! Have a slice for me! Thanks for your very nice comments! What a wonderfully tasty Hub. I've bookmarked this, not because I am capable of making such a beautiful cake as this one, but to pass on to someone who could. And if I am nice to her, maybe she just may consider making me my FAVORITE CAKE IN THIS WHOLE WIDE WORLD..yummmmy. You just sent my taste buds soaring to heaven and back, now I've got to have a slice and I know just where to find one to. LoL....thank you for this beautiful share. Carrie - This Black Forest Cake is delicious! Even when I make it for dinner, I seldom get to have more than one piece as it gets gobbled up! Thanks for visiting and voting! Robin - Do give it a try when you'd like to make something really special for family or friends. Thanks for your votes! This looks delicious! And the way you describe it, it seems very easy to make. Might try this one sometime! WowWowWee!!! I am so impressed. I know you worked hard in getting this Hub together. Voted up, useful, interesting, and AWESOME. Bookmarked for when I feel extra ambitious in my kitchen. Thanks so much! Making the Black Forest Cake from scratch takes some time, but it isn't really difficult. Glad you found the recipe clear and easy to follow. Thanks for stopping by to comment! I often buy black forest cake (and choco mousse!) for special occasions and even give it out as gifts. It never occurred to me that I can actually make one! You made the instructions really clear and simple for a novice baker to follow.